A former resident of Pietermaritzburg who was a mechanic at Kempster Kingslea and part of their racing division with their Vauxhall Viva GT driven by Ray Emond. An avid racing fan and petrol head who built and raced Stock Cars at Roy Hesketh Circuit Dust Bowl back in the good old days of the 60s and 70s. and went onto win the 1969 championship in Pietermaritzburg. Was born 1950 in the UK and a child migrant sent to the notorious Northcote farm school in Australia at the age of five in 1955 with his siblings to a life of abuse and brutality eventually being repatriated to the UK in 1959 then immigrated to South Africa in 1966. After working in the Merchant Navy and Zambia as an engineer at the Mufulira copper mine eventually opened his own engineering business in North Wales and then in 2000 moved to live in Spain. Nigel founded the Child Migrants Compensation Trust in 2002 to help child migrants get compensation for the horrific abuse they suffered. 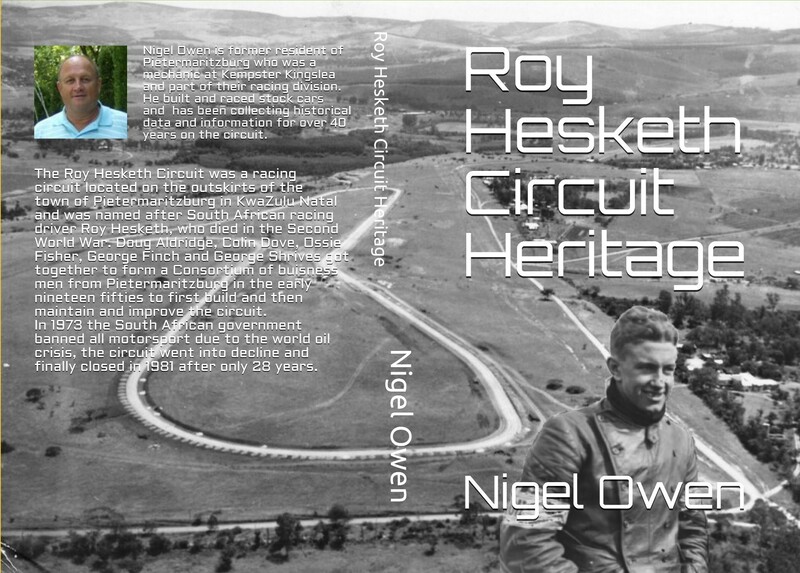 Five books on Roy Hesketh Heritage are in the process of being written by Nigel and should be published soon. Stolen Innocence was published in 2018 and is the memoirs of his life as a child migrant.